A few short months ago, our team had the pleasure of meeting a great number of you at the ATD 2018 Conference in San Diego. Fast forward to today and we’re gearing up for our presentation in the first ever ATD webinar series. With over seven years of experience in the localization industry, our very own User Experience Manager, Martin Balaguer, will be spearheading the first of many webinars where he will be diving into the dos and don’ts of eLearning localization. 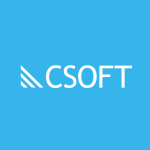 Since our inception in 2003, CSOFT has had a foothold within the eLearning industry, and has worked with global enterprises, government agencies, and educational institutions. Backed by years of experience, this webinar will discuss and dissect the localization process as it pertains to eLearning, and break down the most frequently asked question, “How is localization different from translation?” This will be further explored as we delve into industry terminologies: desktop publishing, segmentation, cultural diversity, voiceovers, testing and more. Learn how this all played out in a project nightmare that Martin had once endured through, and the fast solutions he offered his client. The localization process is a delicate one, especially on a large international scale. Mistakes at any step of the process can lead to an increase in budget, a decrease in quality, or delays to market. It is essential for all team members involved to remember that internationalization should be the driving force behind every expansion and every project. The eLearning localization process can be tricky to navigate when one isn’t checking for best practices. An client-side manager would require the assistance and expertise of a localization company in ensuring the success of his or her project. CSOFT has been around for fifteen years. We’ve seen it all. We’ve done it all, and we’re looking forward to seeing everyone next year at ATD 2019.